Wiki > TechNet Articles > FIM Troubleshooting: Attempted to perform an unauthorized operation. FIM Troubleshooting: Attempted to perform an unauthorized operation. Issue where were installing update 4.0.3627.2 on a FIM Portal server fails silently, and just rolls back. In order to discover what is happening during the installation, you need to grab a Windows Installer Verbose Log. Here is what we found in the Windows Installer Log File. CAQuietExec: Microsoft.IdentityManagement.SolutionPackUtility.exe will deploy and/or retract the FIM solution packs. This operation may take long time in a SharePoint farm environment. CAQuietExec: Executing all administrative timer jobs in preparation for FIM solution pack retraction. CAQuietExec: An exception occurred while running Microsoft.IdentityManagement.SolutionPackUtility.exe: Attempted to perform an unauthorized operation. CAQuietExec: An error occurred while retracting FIM portal solution packs. CAQuietExec: Error 0xfffffffa: Command line returned an error. Action ended 12:31:24: InstallExecute. Return value 3. We can see from the above highlighted line that we are experiencing a permissions problem. 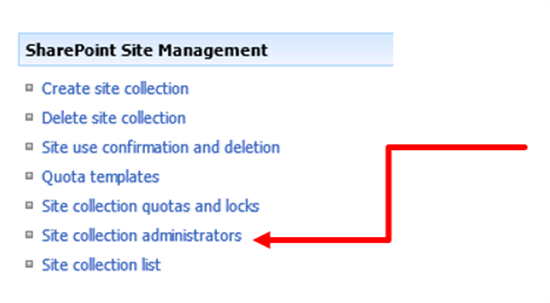 In this case, it is a permission issue inside of SharePoint. The installing users is not part of the Site Collections Administrators. You can resolve the issue by either installing the update with an account that is listed in the Site Collections Administrators, or add the account you are executing the installation to the Site Collection Administrators. Launch SharePoint 2010 Central Administration from the Start Menu. The SharePoint 2010 Central Administration shortcut is available by browsing to Start > All Programs > Microsoft SharePoint 2010 Products. Click the Application Management link.